The government's Digital Britain policy may fail to meet its original goal unless it changes the way it values broadband networks for business tax, a Computer Weekly investigation has revealed. The government's Digital Britain industrial policy may fail to meet its original goal unless it changes the way it values broadband networks for business tax, a Computer Weekly investigation has revealed. The taxes and possible new levies on homes and small businesses connected to fibre and wireless networks make access to broadband more expensive than it need be, especially in rural areas. The UK and Ireland are the only European Union members to tax telecommunications networks. Part of the formula for calculating the rateable value of a broadband link depends on distance. Rural users pay more for connections because network service providers pass on the cost of the tax. This makes broadband connections unaffordable for many in rural areas. 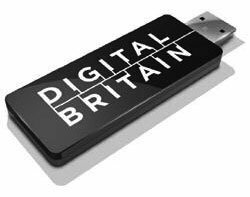 The Digital Britain policy promises to deliver data speeds of 2Mbps to every home, office and farm in the country. Figures from communications regulator Ofcom suggest that up to 11%, or three million premises will not be able to receive broadband without state aid. The government has proposed to expropriate some £200m from the BBC's budget to convert TV and radio broadcasts from digital to analogue to cover these costs. But much of that money, which will be given to network service providers to build connections, will go to pay business rate taxes on long-distance connections. Some communities are unlikely ever to get broadband, especially high-speed broadband over fibre. Most network operators hope that the government will put 0% tax (zero-rating) on fibre networks in the forthcoming Digital Communications Bill, due in the Queen's speech in November. But last week it emerged that the government was looking to tax Wi-Fi hotspots and Wimax connections. Until now these have not been levied. Moreover, the levy may be backdated to April 2005. Many rural communities depend on these wireless technologies for broadband, and many run on a not-for-profit basis. Some say the proposed tax on their wireless networks would make them unaffordable, especially if the levy is backdated. Network owners acknowledge that the government's weak financial position makes zero-rating difficult. "This is a very sensitive issue," says one operator, speaking to Computer Weekly anonymously. "The government has to balance the desperate need for short-term cash against the long-term benefit from economic growth that zero-rating would bring, both directly in terms of investment in new fibre networks, and indirectly in terms of investment in applications that depend on high speed networks." A spokesman at HM Revenue & Customs' Valuation Office Agency (VOA), which sets the rates, said the tax, currently 48.5p in the pound, is levied on what the VOA estimates as the operating profit that the network owner could make if it rented it to a third party. The tax and how the VOA applies it to different network scenarios has been the subject of negotiations between the VOA and industry association the Broadband Stakeholders Group for years. The VOA says talks with the group are on-going. An unpublished 2006 report commissioned by the then Department of Trade & Industry (DTI), seen by Computer Weekly, recommended that the government zero-rate fibre networks for the business tax. The then responsible minister, Stephen Timms, who is now in charge of the Digital Britain initiative, did not act on the recommendation. Timms told Computer Weekly recently he had "no further thoughts" on the matter. The Caio Report, which looked at barriers to investment in broadband considered the business rates issue, but it said only that the VOA should provide "updated and revised guidance in the light of both recent litigation and the anticipated growth of next generation access networks". In July this year David Hendon, business relations director in the enterprise and business group at the Department of Business, Innovation & Skills, told a parliamentary committee on communications that its advice from the Department of Communities and Local Government, which "owns" the business rate tax, was against the recommendation. "If we were to zero-rate fibre, then we would effectively undermine the whole basis of the rating system in the UK," he said. The present rating system was described as "the biggest single barrier to joined-up investment in low-cost resilient UK broadband" networks by Philip Virgo, spokesman for Eurim, a parliamentary-industry discussion group. The red tape of business rates also puts investors off. Tim Smith, head of networks at mobile network operator Orange, says dealing with business rates occupies more of his time than he likes. Other network operators share his view. Zero-rating broadband networks would help. But spokesmen for cable TV network operator Virgin Media and fixed and mobile network operator TalkTalk say it more important is to reduce the uncertainty that surrounds the potential return on investment in next generation networks. Britain is not even on the charts in terms of fibre to the home, and is slipping down the global broadband rankings. Does the country really need to tax the future?